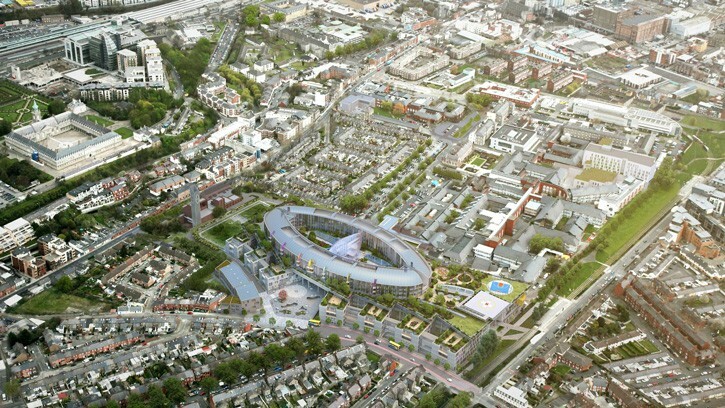 Minister for Health Leo Varadkar has said he is absolutely delighted that An Bord Pleanála has granted planning permission for a new national children’s hospital at the St James’s Hospital campus in Dublin. “This is great news for all the children of Ireland and means that we can now build a state-of-the-art word class Children’s Hospital of which we can truly be proud. An Bord Pleanála has granted permission for this wonderful design. It’s a massive milestone for Irish children, young people and families. “It will be the single biggest capital project in the history of Irish Healthcare. The outgoing Government approved funding for the project and included it in the Capital Plan 2016-21. Enabling works will begin this summer. “The children’s hospitals at Temple Street, Crumlin and Tallaght have always provided superb care to children, but they’re operating within restricted and outdated buildings. The new building at St James’s will allow doctors, nurses and healthcare professionals to do what they do best in a purpose-built facility. “The decision also means that work can start on two satellite centres at Connolly Hospital and at Tallaght, providing services right across greater Dublin. These will open in 2018. And the new Children’s Hospital will support regional hospitals across Ireland to ensure that services are provided as close to home as possible. Permission has also been granted for the research centre. Construction on the hospital which is expected to become fully operational by 2020 following its completion in 2019 will start soon. The Minister thanked the members of the National Paediatric Hospital Development Board and its chair, Tom Costello, the Board’s CEO, John Pollock, and its executive team for their dedication, expertise and commitment to the project. “The Board and executive team between them have brought massive experience, expertise and energy to this project. Their absolute commitment to this project is a huge reason for today’s positive outcome,” he said. Despite some opposition the selection of the St. James site has been was broadly welcomed. The Minister also thanked the St James’s Hospital Board for their support and commitment for the project.